It’s every parent’s worst nightmare—the sudden death of a child. Carmel Police Officer Mike Williams has had to make numerous notifications of next of kin over his 32 years on the force, following the untimely death of a loved one…. Please login below or purchase a subscription to the Putnam County Courier to access this content. One victim of the Kent Cliffs crash rests on the pavement while fire crews use the Jaws of Life to extricate a woman trapped in her demolished car. Putnam’s emergency responders experienced one of their most hectic afternoons in recent memory l… Please login below or purchase a subscription to the Putnam County Courier to access this content. The trailer containing the sedated horse is pulled to the embankment by tow trucks. 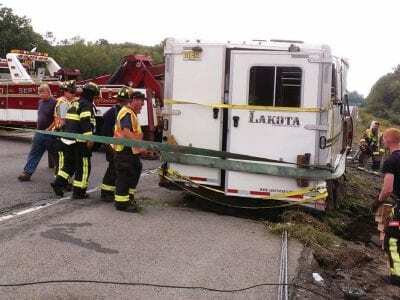 A horse trailer mishap on I-84 between Exits 18 and 19 in Kent snarled Saturday morning traffic for hours throughout eastern Putnam when emergency responders were for… Please login below or purchase a subscription to the Putnam County Courier to access this content. Spencer Lampert may be one of America’s most successful businessmen, but his love for horses is shown when he bids his daughter’s mount, Bella, good bye before leaving the farm last week. 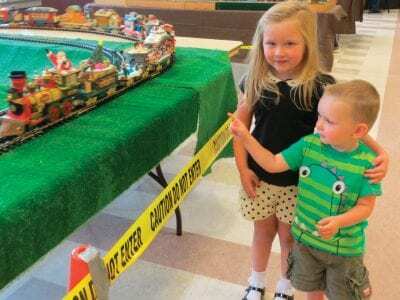 Putnam County may lack a top-notch, first-class 5-… Please login below or purchase a subscription to the Putnam County Courier to access this content. 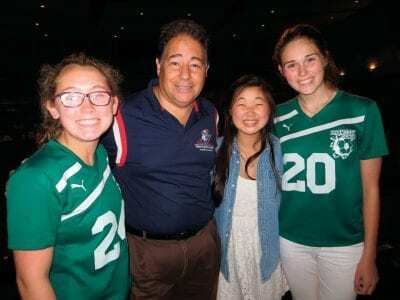 BHS students Caitlin Pastore, Miki Tanahashi and Brook Strahley meet with Danny Rodriguez. Danny Rodriguez, known affectionately as the “Singing Policeman”, received several ovations during a performance in Brewster last week held in conj… Please login below or purchase a subscription to the Putnam County Courier to access this content. Members of the Putnam County Conservative Committee must decide which of two candidates will represent their party in the November general election for the District No.8 seat held by Legislator Dini LoBue. The Putnam Board of Elections counted write… Please login below or purchase a subscription to the Putnam County Courier to access this content. Mount Kisco Medical Group will be hosting a symposium on robotics that will include a panel of medical experts on Saturday, September 27, from 10am-12pm at the Michael T. Weber Auditorium (670 Stoneleigh Avenue Carmel). The symposium will be an info… Please login below or purchase a subscription to the Putnam County Courier to access this content. Former Governor George Pataki will address the Putnam County Economic Development Corporation’s annual Recognition Breakfast on Friday. The affair at the Putnam County Golf Course on Hill Street in Mahopac Falls gets underway at 8:30 a.m. and will r… Please login below or purchase a subscription to the Putnam County Courier to access this content. To the Editor, In Putnam’s most recent budget statement, County Executive Odell laid out how $73.10 out of every hundred county dollars goes to government mandated programs. The biggest cut goes to Medicaid, of which New York has the largest mandate… Please login below or purchase a subscription to the Putnam County Courier to access this content.